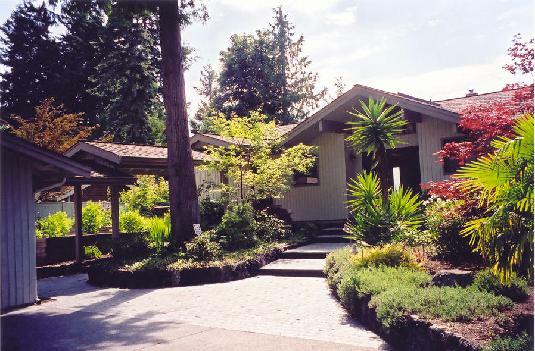 Our homes in Victoria, B.C. & Poulsbo, WA. 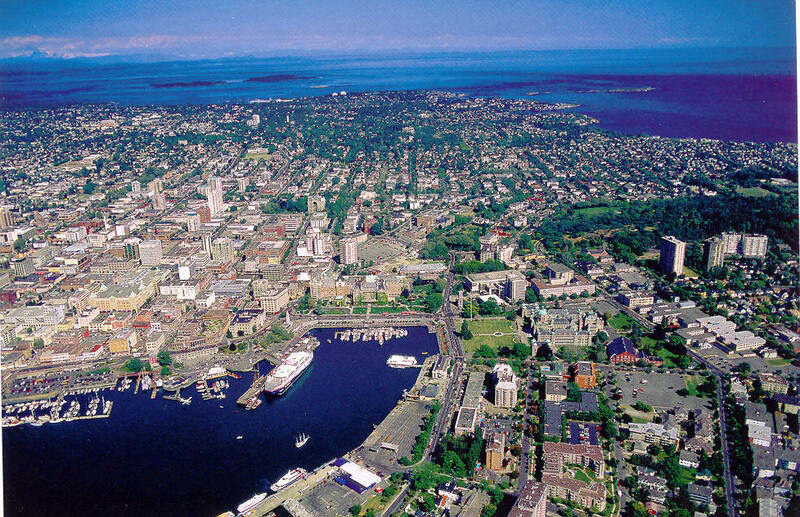 The green space you see above the four tall appartment buildings just to the left of this text is Beacon Hill Park. If you look at the far (east) side of the park, directly across the park from the third (counting from left to right) appartment, you see a long, low white building. That is us! Built in 1936, this Art Deco building has retained many of its original design features. 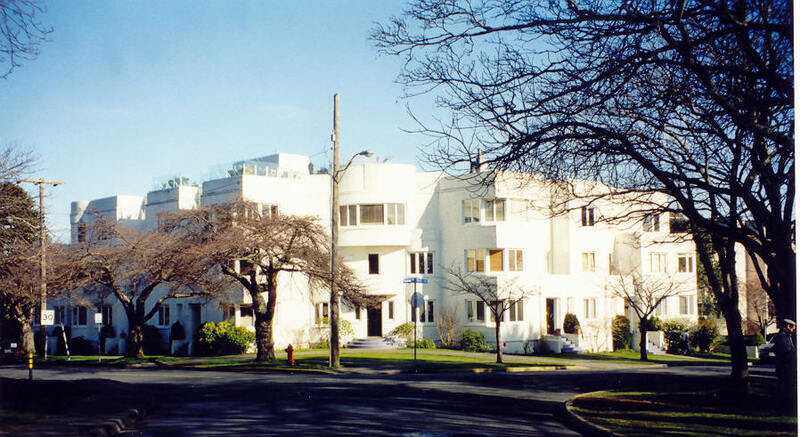 In 1994 the building was converted to condos. There are 12 units, each with its private entrance. "Little Norway" Poulsbo, WA. Yes, that is THE Lutheran church. 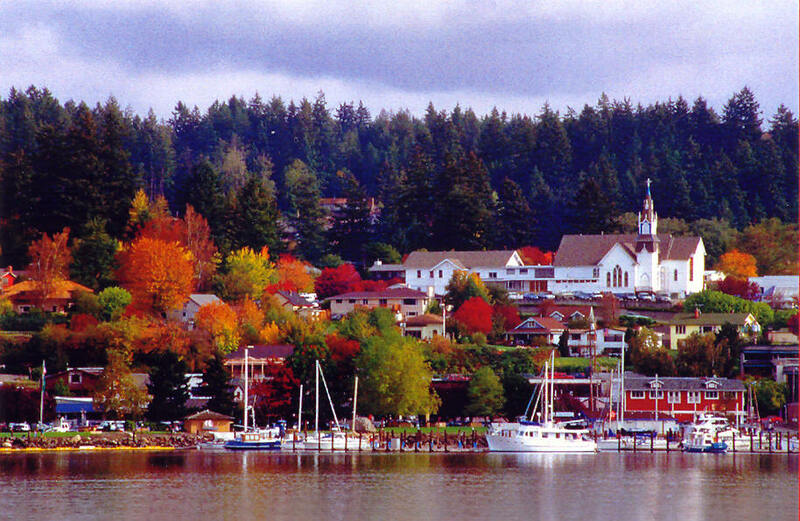 The people of Poulsbo did not begin speaking English until W.W. II when the navy moved in to build ships. One can still buy frozen Lutefisk dinners in town. Our home on the Hood Canal in Poulsbo. Our neighbors across the Hood Canal, as we see them from our living room; these are "The Brothers". 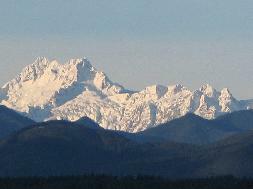 Located a bit to the north of The Brothers, this is the tallest peak on the Olympic Peninsula, Mount Constance.